MasterCard began in 1966 as a rival to the Bank of America card. Four financial institutions came together to create MasterCard – Wells Fargo, The Bank of California, The United California Bank and Crocker National Bank. The card was originally called “Master Charge – the Interbank Card” and wasn’t called MasterCard until 1979. The company has grown immensely over the years, with current assets of over $14 billion and employing over 8,000 staff. This payment method for deposits is available for both the US and international casino players. There are many “MasterCard casinos” operators who will accept this form of payment. You’ll be able to see the list of available deposit options on most casino sites, so you’ll quickly know if this is available at a particular casino where you want to make a deposit in order to play for real money. You might find that an online casino will indeed accept MasterCard without actually listing this method, so contacting the customer services team might be an option – this is especially true if you have a history of using the casino before. Having found a casino that accepts this payment method, firstly you’ll have to register. This will simply be a case of entering your name, address and e-mail address (you may need to verify your e-mail address by clicking a link in an e–mail the casino site sent you). You’ll now be ready to deposit. You’ll be asked to enter the card number (the long number across the front of the card), the expiry date, the name on the card and usually the CVV number on the back of the card. The final piece of information you’ll enter is the amount you’ll want to deposit. 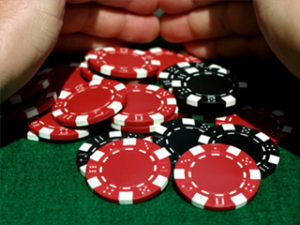 Having submitted the payment, the funds should appear in your account immediately, and you’ll be ready to hit the casino. This speed is one of the big advantages to using this credit card, as some methods can take three to four days to process. Unfortunately, MasterCard payment is not always guaranteed to be approved when depositing from the US. In 2006 the UIGEA legislation was passed, making payments from financial institutions to gambling sites more difficult. If this happens contact the site who will endeavor to help – either by retrying to deposit with MasterCard or suggesting useful alternative deposit options. Many casinos have devoted staff to help players with the deposit process. Fortunately, as MasterCard isn’t a payment method available on the majority of sites, the sites that do accept it will generally have a good approval rate. Generally, there are no fees associated with depositing using this method, although check the terms and conditions of the site to be sure. If there is a fee it will usually be a very small one in comparison to other payment methods. You’ll not be able to withdraw to your MasterCard. This is the case with all credit cards, not just with MasterCard. The casino site will list all of the available withdrawal methods on the site. For US-facing casinos the most common option is a paper check, though bank wire and Western Union withdrawals can also be found. Clearly, you shouldn’t worry about how to cash out your online casino winnings as the process is very transparent and easy to follow at MasterCard casinos. The majority of casino sites will offer incentives to sign up in the form of bonuses and of course, you’ll receive this bonus if you deposit using a MasterCard – read the terms and conditions for the full details of the bonus. You will find there are big differences in the ‘play-through’ requirements at different casinos, and that many will exclude certain games from bonus clearance. 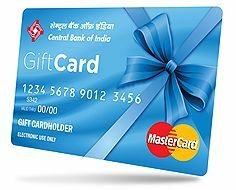 Having found a site that accepts MasterCard but you find you’re still having trouble you could consider a MasterCard gift card – which will have a higher acceptance rate than personal credit cards. Check with your casino to find out which brands are currently being accepted. US players can also use money transfer services including Western Union or MoneyGram at many casinos. Players located outside the US can also sign up to an e-wallet which you’ll be able to fund with your credit card. You’ll then deposit funds to the casino via your digital wallet. This has an advantage in that you’ll not have to supply the casino itself with your credit card details. As e-wallets are generally more readily accepted at casinos, you’ll also be able to move money from a site to site with ease. Tip: E-wallet gives you the opportunity to take advantage of more roulette bonuses and provides you with another method of making a deposit in case you found a non “MasterCard casino”. If you have ever wondered “which online casinos accept Mastercard” or “does Bovada accept Mastercard” you wondering can come to a stop. Below, we will list our recommended MasterCard casinos where you can use your card to make a deposit and enjoy a game of online roulette for real money. 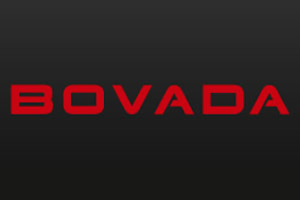 Bovada caters to the US based players and Betway to the players from around the globe. They have easy deposits, generous roulette bonus and a great selection of single zero roulette games to play for real money online with a live roulette dealer. Betway is another well recognized around the world online casino. This casino offers a large variety of roulette games and it is very popular among players who use MasterCard for their casino deposits. You should be able now to have a better understanding of online casino deposit and betting with MasterCard. 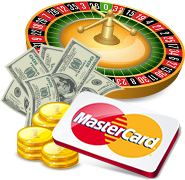 Using Mastercard for betting has never been easier and there are plenty of options for you to play roulette game for real money. All you have to do is check through our shortlist of the top casino sites accepting this card and decide on a site that suits your playing style and gives you the easiest deposit as well as withdrawal options.